Certain proteins are known to require Translation Factor EF-P for their synthesis, and a new study enlarges the size of the set. As some of its members are involved in bacterial pathogenicity, the results are also of therapeutic relevance. In all living cells, protein synthesis is carried out by organelles called ribosomes, which link amino acids into defined sequences specified by the nucleotide sequences of the corresponding genes. Rates of synthesis can vary depending on the composition of the encoded sequence. In particular, when the genetic code calls for the addition of successive copies of the amino acid proline, the ribosome pauses and then stalls. 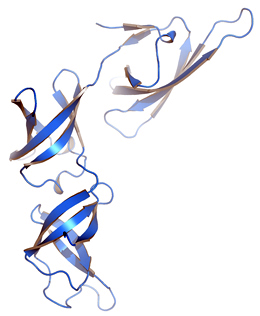 In such a case, Elongation Factor P (EF-P) is required to enable the insertion of proline into the growing protein, thus allowing the ribosome to proceed. Hence, EF-P is essential for the production of a class of proteins that contain several consecutive prolines in their sequences. EF-P proteins that serve this function are found not only in bacteria, but also in Archaea and in the cells of higher organisms. Researchers have hitherto assumed that the ribosome grinds to a premature halt only if at least three successive prolines must be incorporated into the growing protein. In bacteria, about 100 distinct proteins with diverse functions contain such proline repeats. In a paper published in the journal Science late last year, LMU researchers Dr. Daniel Wilson and Professor Kirsten Jung delineated the role of EF-P in the synthesis of these proteins. Wilson and colleagues now show that the occurrence of a nucleotide sequence specifying the insertion of two prolines in succession is sufficient to halt the ribosome and call EF-P into play. Moreover, although EF-P restarts the translation process in all cases, the duration of the pause is dependent on the nature of the amino acids that flank the proline pair. “This finding significantly extends the range of proteins whose production is regulated by EF-P,” says Wilson. The new results are of potential clinical relevance, because EF-P acts as an activator of the latent virulence of many bacterial pathogens by enabling them to fabricate toxic proteins containing proline repeats. If EF-P is defective in such bacteria, their virulence is markedly reduced. This makes the factor a promising target for the development of new antibiotics and, given the ever-increasing incidence of multiresistant bacterial strains, the need for novel antibiotics has never been more urgent. Thus, the identification of new targets for EF-P also broadens the potential utility of antibiotics directed against it.